I'm finding Wilfred Hughes's helpful-mode, well… rather helpful. However, I'm missing imenu support. Here's a hacky way to get basic imenu. "Create an `imenu' index for helpful." ;; 1. if it has bold face. ;; 2. if it is capitalized. 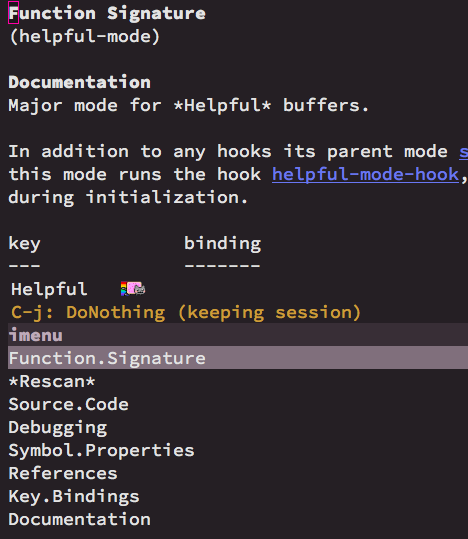 "A hook function for `helpful-mode'."